Are you seeing Unicorns everywhere? There is a reason Unicorns are appearing more and more in modern culture: their energy is coming through right now to help those who are ready to raise their vibration and live their most authentic life. 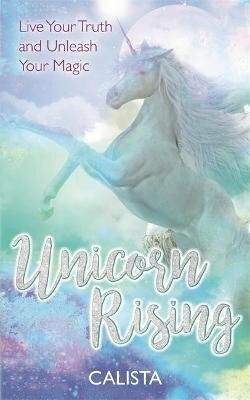 In Unicorn Rising, holistic healer Calista explains the true symbolism and energy behind the Unicorns, why right now is a significant time for us to integrate with their healing power and what the Unicorns can do to help you on your soul journey. You'll learn to live your unique path, power and purpose through releasing what's been hindering your creative expression, with the Unicorns as your tour guide on this magical, life-changing adventure. Learn ways of honouring both your humanity and your divinity, and live in greater harmony with the world through Calista's original blend of energetic attunements, meditations, tools and #RisingReflections exercises. Woven with her personal story of rising from closed-off scientist to unstoppable She-Ra, this book shows you that you, too, can ascend with the Unicorns to live in alignment with your soul!